Illustrated with extraordinary new photography, this is the definitive field guide to all of New Zealand’s tuatara, geckos, skinks, frogs, marine turtles and marine snakes. From the ancient tuatara, the sole surviving member of its order, to the world’s largest collection of long-lived and live-bearing lizards, our geckos and skinks, New Zealand’s 123 species of reptiles and amphibians represent an extraordinary aspect of this country’s biodiversity. Reptiles and Amphibians of New Zealand is the only field guide to cover all currently recognised species. New Zealand’s list of reptiles and amphibians is growing with new discoveries, even as 80 per cent of species are at risk of extinction. 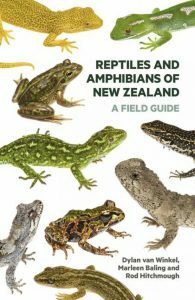 This is the only field guide to cover all currently recognised reptiles and amphibians and will become a go-to book for anyone interested in New Zealand’s unique wildlife. – Expert and up-to-date information on all 123 species of reptiles and amphibians in New Zealand. – More than 400 new photographs. – Range maps for every species. – Introduction to evolution, conservation, observing and collecting, ecosystems and geographic history. – Authoritative text on every species, including names, description, distribution, variation and similar species, habitat and natural history. – Identification keys for each of the major groups. – Regional checklist and a handy quick guide on the inside flaps. 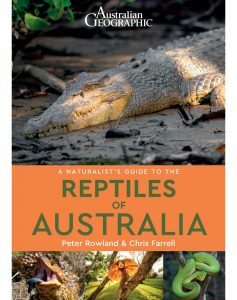 An indispensable guide to Australia’s fascinating reptiles and frogs, packed with information about their behaviour, development, food and habitat. Each entry fully describes the species and its way of life. Colourfully illustrated throughout with detailed artwork and with maps showing where each animal occurs, this is a handy family reference or a guide for the bushwalker or traveller. Leonard Cronin is one of Australia’s foremost natural history authors. Trained as a biologist, he is a prolific writer of books and articles about the Australian flora, fauna and environment, bringing his own fascination with the natural world to the general reader. His books include the bestselling Key Guide series of field guides, Australian Flora, A Journey Through Ancient Kingdoms and Natural Wonders and The Australian Animal Atlas. He also contributes a monthly column about Australian wildlife to the ABC’s Gardening Australia magazine. Illustrated descriptions of the 123 native, introduced and vagrant reptile species in the State. Victoria’s reptiles are not often encountered by urban dwellers, with many species now threatened. You may have glimpsed a skink darting into the undergrowth, a snake slithering along a walking path or a blue-tongued lizard sunning itself near your garden shed. Yet the turtles, skinks, geckos, goannas, snakes and other reptiles that call Victoria home are fascinating and important members of urban and rural ecosystems. 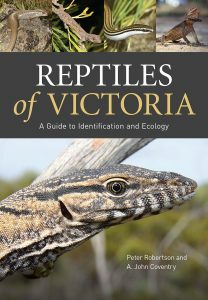 Reptiles of Victoria is the first regional guide to all reptiles known to occur in Victoria. It contains keys and illustrated descriptions to allow identification of the 123 native, introduced and vagrant reptile species and describes their biology, ecology, distributions and the habitats in which they live. It also indicates the level of risk that the venomous snakes pose to humans and includes a brief section on first aid for snake bites. Natural history enthusiasts and professional and amateur herpetologists will find this an essential guide. 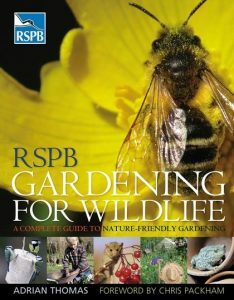 Includes detailed descriptions, distribution maps and photographs of over 1200 species. 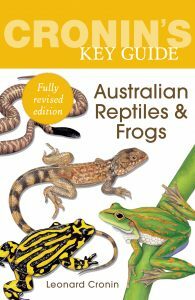 Reptiles and Amphibians of Australia is a complete guide to Australia’s rich and varied herpetofauna, including frogs, crocodiles, turtles, tortoises, lizards and snakes. For each of the 1218 species there is a description of its appearance, distribution and habits. These descriptions are also accompanied by distribution maps and, in many cases, one of the book’s more than 1000 colour photographs of living animals. The book also includes 130 simple-to-use dichotomous keys, accompanied by hundreds of explanatory drawings, that in most cases allow a specimen in hand to be identified. In addition, it has a comprehensive list of scientific references for those wishing to conduct more in-depth research, an extensive glossary, and basic guides to the collection, preservation and captive care of specimens. This classic work was originally published in 1975. 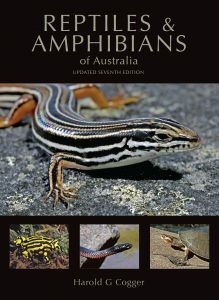 The updated seventh edition contains a new Appendix that discusses recent changes and lists over 80 new or resurrected species and genera that have been added to the Australian frog and reptile fauna since the 2014 edition. This easy-to-use identification guide to the 280 reptile species most commonly seen in Australia is perfect for resident and visitor alike. High quality photographs from Australia’s top nature photographers are accompanied by detailed species descriptions, which include nomenclature, size, distribution, habits and habitat. The user-friendly introduction covers the threats to reptiles, types of habitat, anatomy of reptiles, and details of orders and families. Also included is an all-important checklist of all of the reptiles of Australia encompassing, for each species, its common and scientific name, and its global IUCN status. This easy-to-use identification guide to the 89 reptile and amphibian species of Bali is perfect for resident and visitor alike. High-quality photographs from the region’s top nature photographers, are accompanied by detailed species descriptions which include nomenclature, size, distribution, habits, occurrence and whether they are dangerous. The user-friendly introduction covers conservation, how to deal with snake bites, identification of body parts and a glossary. 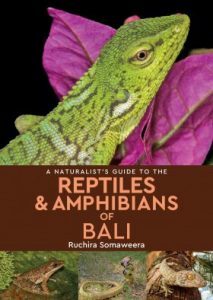 Also included is an all-important checklist of all of the reptiles of Bali encompassing, for each species, its common and scientific names. A Field Guide to the Reptiles of East Africa remains the definitive work on this subject and is the only comprehensive guide to the extensive and diverse reptile fauna of Kenya, Tanzania, Uganda, Rwanda and Burundi. The second edition has been revised and updated to account for several significant discoveries made since the publication of the first book. The detailed introduction is followed by individual accounts of all the chelonians, lizards, worm-lizards, crocodiles and snakes of the region. Each photographically illustrated account describes the biology, ecology, habits and habitat of a species and also includes a distribution map. 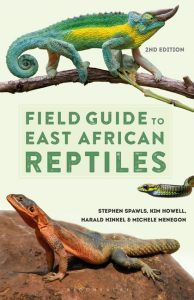 The new paperback format, as well as the revised text and all new photographs, make this edition the only single-source, practical field guide to east African reptiles. 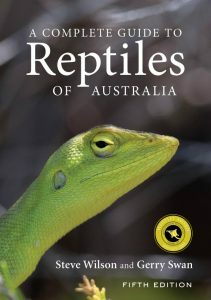 A Complete Guide to Reptiles of Australia has been the most comprehensive field guide available for Australian reptiles since the first edition was published in 2003. As new species are discovered, known ranges extended and higher quality images become available, updated editions of the book have been written to reflect these changes. This fifth edition includes images, descriptions and maps for all 1,011 species of reptiles described up until the end of December 2016. Some of these are pictured in life for the first time, and many are represented by several images to depict geographical and sexual differences. The book features easy to use diagnostic illustrations to explain anatomical features, a comprehensive glossary, and the more significant reptile habitats are pictured. Each species has a clear and concise text description to aid identification, with diagnostic differences from confusion species given in bold font. Each species has a distribution map and image(s) on the facing page. For ease of use, indexes to both scientific and common names are provided. Designed as field guide, with a sturdy plastic cover and compact layout, the target readership for this book is anyone with an interest in reptiles, whether scientists or amateurs. Previous editions are regarded as the standard reference guide for professionals working in the field and have also been popular with general naturalists. The fully revised second edition of this highly acclaimed book. Long-term monitoring programs are fundamental to understanding the natural environment and managing major environmental problems. Yet they are often done very poorly and ineffectively. 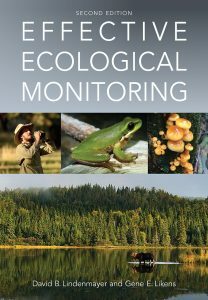 This second edition of the highly acclaimed Effective Ecological Monitoring describes what makes monitoring programs successful and how to ensure that long-term monitoring studies persist. Though the book has been fully revised and updated it remains concise, illustrating key aspects of effective monitoring with case studies and examples. It includes new sections comparing surveillance-based and question-based monitoring, analysing environmental observation networks, and provides examples of adaptive monitoring. Based on the authors’ 80 years of collective experience in running long-term research and monitoring programs, Effective Ecological Monitoring is a valuable resource for the natural resource management, ecological and environmental science and policy communities. Artist/Author: Mirtschin, Peter, Arne Rasmussen and Scott A. Weinstein. Australia’s venomous snakes are widely viewed as the world’s most deadly and are regarded with cautious curiosity, fascination, and, regrettably, fear. Australia’s Dangerous Snakes examines the biology, natural history, venom properties, and bite treatment of medically important venomous marine and terrestrial snakes. It contains comprehensive identification profiles for each species, supported by keys and photographs. In addition to their medical importance, the environmental role of snakes and the threats that are causing the decline of many of these reptiles are discussed. 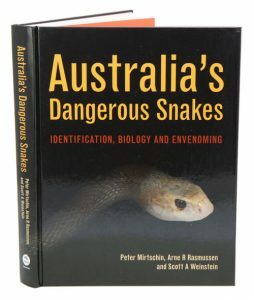 Drawing on the authors’ experience in the fields of herpetology, toxinology, and clinical medicine, this book stimulates respect and admiration and dispels fear of Australia’s fascinating snakes. Australia’s Dangerous Snakes will provide hours of rewarding reading and valuable information for anyone interested in Australia’s unique wildlife and natural history, and will be an essential reference for herpetologists, toxinologists, physicians, zoo personnel, and private snake collectors. * Contains comprehensive identification profiles for each dangerous snake species, supported by keys and photographs. * Describes the production, actions and uses of venoms. * Provides information on the risks and clinical management of snakebite and envenoming. Artist/Author: Cann, John and Ross Sadlier. Australia is home to a diverse freshwater turtle fauna including more than 25 species and an array of side-necked turtle subspecies. The biology and ecology of Australian freshwater turtles is complex and a number of species are of particular conservation concern. Many affected species are found on Australia’s east coast, where the river systems are most heavily modified due to the pressures of development. 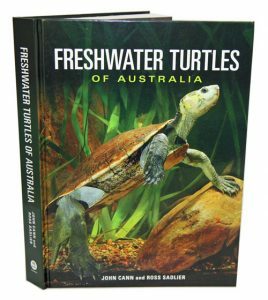 Freshwater Turtles of Australia is a beautifully illustrated and comprehensive update of John Cann’s highly respected Australian Freshwater Turtles (1998). It reviews new information on the biology of Australian chelid turtles, presents recent perspectives and insights into their history and taxonomy, and provides an introduction to the freshwater turtles of New Guinea and Irian Jaya to Australia’s north. This landmark work brings together years of research and experience and will serve as an important reference for researchers, academics and herpetologists for many years to come. you sow the seeds and reap the rewards.